"I would like to thank CCNF for this grant of financial assistance. I am very grateful for this resource and thanks to CCNF, I can more greatly focus on having a successful recovery with much greater peace of mind. I genuinely have an expanded sense of relief that otherwise may not have manifested, were it not for your mission and your help. Thank you very, very, much!" 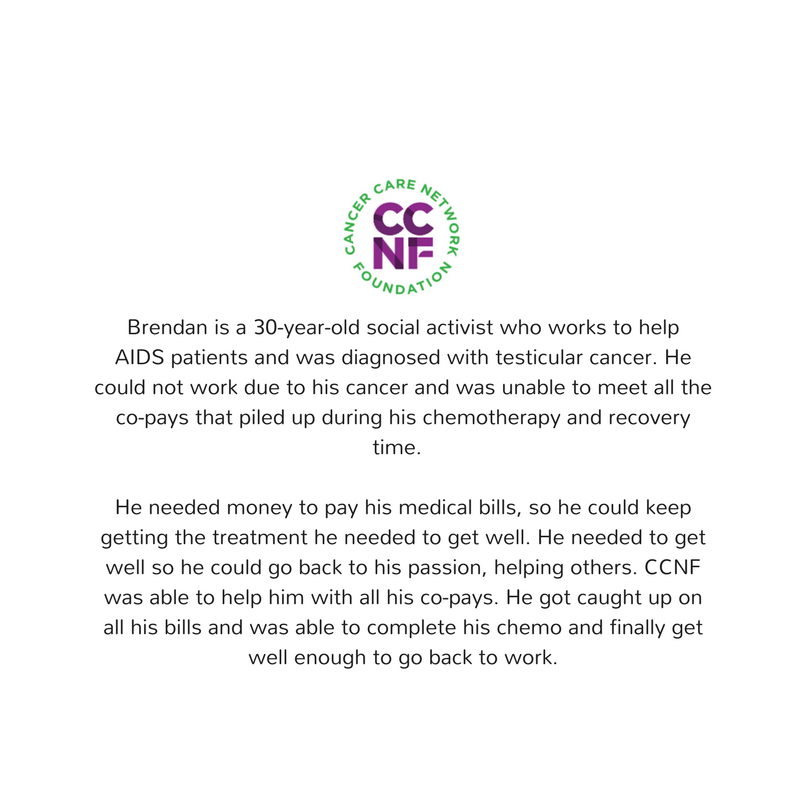 "I cannot thank you enough for the grant allocated to me from CCNF to get into treatment. You are a God send and I am blessed and grateful beyond words. Thank you for all your efforts and extreme kindness to a stage 4 cancer patient. I will beat this and I could not have come this far without people like you facilitating my excellent recovery. May God bless you and keep you as you help those struggling with this disease. As my doctor says, "There is always Hope". Thank you for being such a conduit of Hope." “I want to personally thank the Cancer Care Network Foundation (CCNF) for supporting my mother and our community during challenging times. 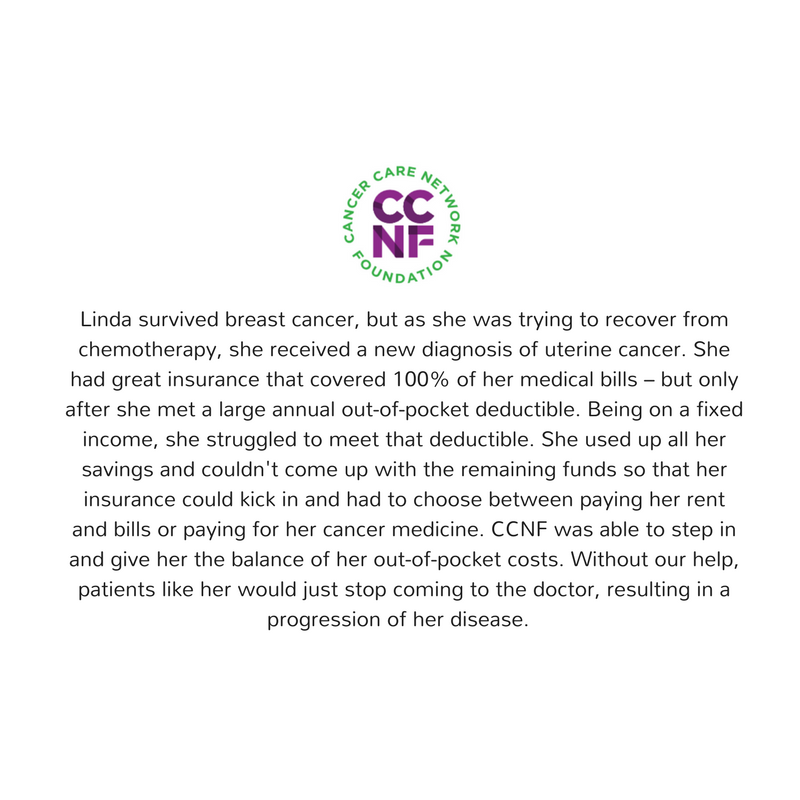 The direct impact CCNF has on patients and families is valuable as it reduces financial and health care barriers. Thank you to the CCNF Board of Directors and Board Advisors for your service, time and commitment in managing and guiding this charity. Most importantly, thank you to the donors, that is individuals, families, businesses and organizations who have made it possible to help patients and their families improve their lives. I know from first hand that donor funds have a direct impact and I hope to support CCNF in the future. "Oh my gosh, Thank you sooooooo much! This brought a tear to my eye here at work, reading this letter! I'm so grateful to your foundation to help patients like myself, this will be a great help to me with my medical bills. Thank you for making my day!"